FAYETTEVILLE, TN—The Southern All Star Dirt Racing Series presented by MaxFab will be back in action in the month of April on Saturday night April 20th at the Thunderhill Raceway Park in Summertown, TN., for the 1st Annual King of the Hill 40 paying $4,000 to win and $400 to start. 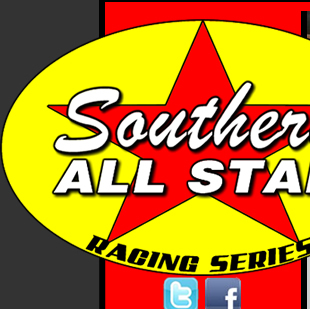 This will be the first race back with the Southern All Stars after a year absence in 2018. In 2017 the series ran in front of packed grandstands all three nights as Brad Skinner, Dane Dacus and David Breazeale took the wins in 2017. Then the series will move to Friday night April 26th for a doubleheader weekend. The Friday night event will be at the newly reconfigured Smoky Mt Speedway in Maryville, TN., for the Annual Rockin with the Stars event that has always been one of the tracks biggest events and that will be a 40 lap $5,000 to win the event. The 2018 winners at Smoky Mt Speedway include Tommy Kerr, Michael Chilton, and Shannon Buckingham. The teams will move south the next night April 27th for the annual NASCAR weekend at the Talladega Short Track in Eastaboga, AL., for a 40 lap $4,000 to win the event, This will be the 109th sanctioned event by the Southern All Stars at the track and is always a fan and driver favorite. The 2018 winners at Talladega Short Track were Austin Horton, Michael Page, and Jackson Hale. 2019 CRUISE WITH THE CHAMPIONS/DIRTONDIRT.COM ROOKIE OF THE YEAR: 1.Zach Leonhardi 68; 2.Billy Franklin 63; 3.Andrew Littleton 62; 4.Austin Arnold 58 5.J R Moseley 38.